With the festive air hanging over us, it is time for us girls to get all prepped and dolled up for the season! 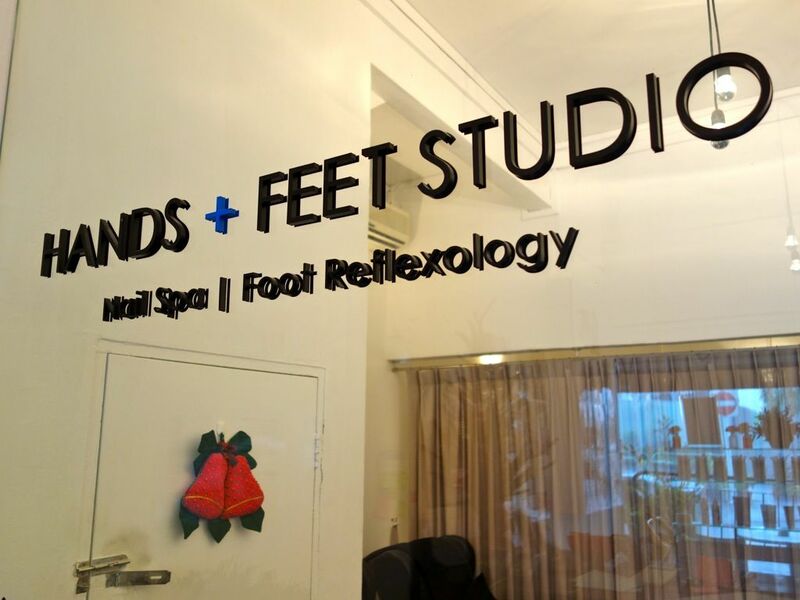 I recently headed down to my pretty junior's nail spa, the lovely Hands+Feet Studio to try out their award winning foot reflexology and pedicure. I chatted with Caryn, the beautiful and capable young lady as the therapists worked their magic on my feet. Ms Skinnyfat: So Caryn, tell us about the philosophy of Hands+Feet Studio. 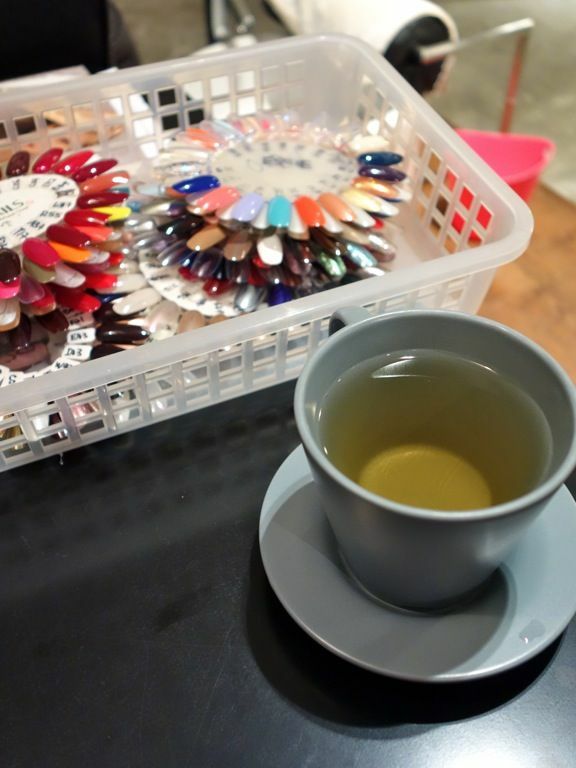 How do you set yourself apart from the other nail salons? Caryn: Hands + Feet Studio believes in providing a unique, contemporary and quality spa experience. Our studio is stylish, modern yet relaxing. In a country where land is scarce, we have managed to make our spa look spacious and not overcrowded. C: The services and products are value for money. 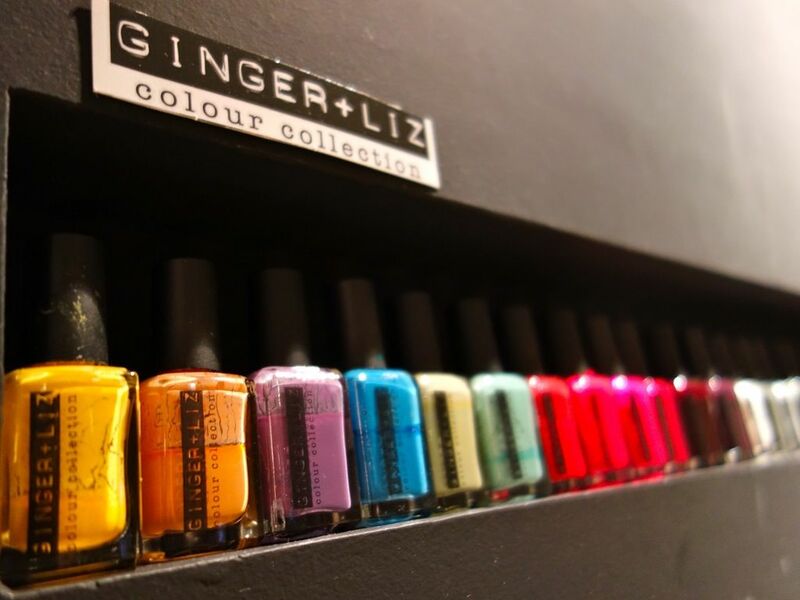 Customers get to choose from a wide range of nail polish brands and even have the option of choosing an organic, vegan-friendly nail polish which does not stain and harm your nails (Ginger + Liz from New York). C: We have also included an extra "exfoliating" step into our pedicures with "My Exfoliator" from Australia, to further get rid of dead skin and impurities on your skin. MSF: Sounds great! So tell us about your all time favorite treatment! MSF: My hour long food massage was surprisingly relaxing, despite my low threshold for foot reflexology. Simon was very meticulous with my bony feet and made sure that every spot was kneaded and rubbed. That certainly prepped me for the next part of the session, the classic pedicure which was done by Mandy. MSF: It's the festive season! What would you recommend for a luxurious pampering session for the girls (or boys) this holiday? 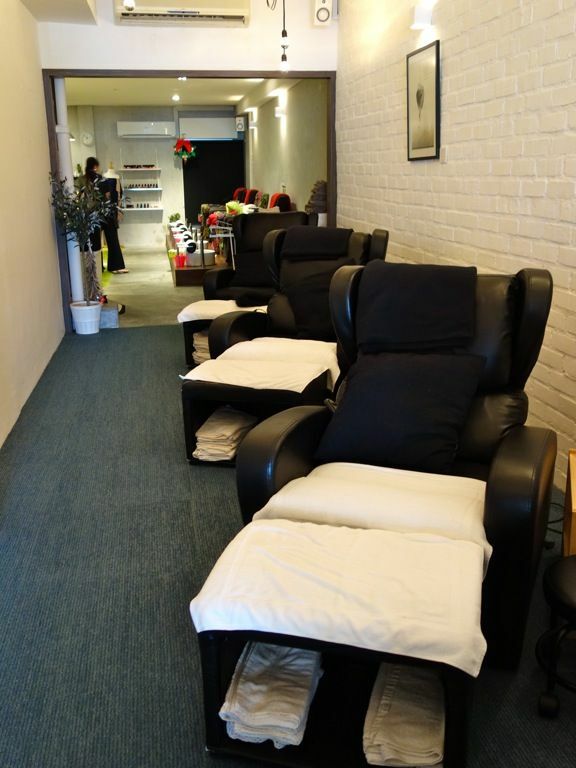 C: Check out our newly introduced treatments, the HFS Deluxe pedicure treatment ($68) for the boys, and OP (Organic Potato) pedicure treatment ($78) for the girls. The HFS Deluxe Pedicure treats your feet to 20 minutes of complete pampering. Drawing on the soothing powers of lavender, your relaxing foot treatment comprises a lavender foot soak, deep cleansing mineral mask, and a specially-crafted 20 minute foot reflexology session to offer immediate relief and tension release under expert hands. The OP Treatment is the “Birkin” of nail spa treatments. this spa treatment entails a rigorous preparation process. The organic potato mask, which takes hours to whip out, is the most natural whitening and moisturizing treatment on the beauty planet. Chemicals and artificial ingredients free, this treatment is suitable for all skin types and perfect for sensitive or dry skin. This treatment is not available to walk in customers so do make your booking early! There is also a Manicure version ($68). MSF: I'm sure you'll be expecting a lot of customers once they read about this! Sounds like you've found the recipe for success. So what can we expect from Hands+Feet in 2014? Any big plans? Hands+Feet is also having a pop up store by thefashionvein, another brainchild of Caryn. Watch this girl! She has her eyes set on conquering the beauty world! Full price list can be found on their FB page.